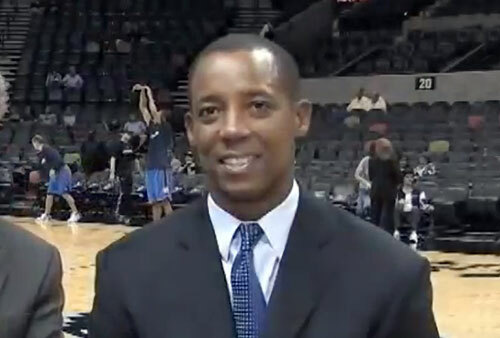 Sean Elliott is a former NBA small forward who played for the San Antonio Spurs from 1989–1993, the Detroit Pistons from 1993–1994 and the San Antonio Spurs again from 1994–2001. Elliott is an NBA champion for 1999 plus two-time NBA All-Star for 1993 and 1996. Elliott was named NABC Player of the Year for 1989 plus AP Player of the Year for 1989 plus two-time Pac-10 Player of the Year for 1988 and 1989. Elliott also is the winner of the John R. Wooden Award for 1989 plus the Adolph Rupp Trophy for 1989. His number 32 was retired by San Antonio Spurs in 2005. Sports Speakers 360 is a booking agent for pro athletes. If you would like to book Sean Elliott for a speaking engagement, appearance or endorsement, contact a Sean Elliott booking agent for fees at 1.855.303.5450.